Taking a teen to Walt Disney World can be a crap shoot. With a 15-year old daughter, we’ve found plenty of fun inside the parks beyond the thrill rides to keep her engaged and entertained. From interactive games to testing bravery with soda samples, here are our top five ways for teens to have fun at Walt Disney World beyond the thrill rides. If there’s one place that teens don’t have to be cool it’s Walt Disney World. The rides and attractions, the parades and shows, and the all-over ambiance channel everyone’s inner child and bring out the best. But sometimes you have to point your teen in the right direction. If you’re planning a visit to WDW with a teen, it’s a good idea to scout out what’s fun beyond the rides. 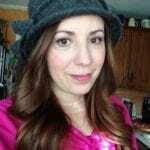 As a mother with a teen daughter, I learned by experience! Here’s her top five choices for have fun in the parks beyond the thrill rides. There are three interactive games on this list, but the most popular has to be Sorcerers of the Magic Kingdom. While it’s fun to play as a family, there are times when my teen wants a little bit of independence in the parks and asks to play on her own. I happily allow her and, along with some guidelines (don’t leave the gaming area, check in if you’re moving to another spot, etc.) off she goes on her merry villain-destroying way. Here’s the game in a nutshell: collect cards daily at the Fire Station in Magic Kingdom. Head from portal to portal throughout the lands to destroy Disney villains who are trying to take over the kingdom. The cards are highly collectible and fans of the game go bananas over special edition party cards. You can collect a new packet of five cards every day you play and you need to open a gaming portal before you can collect. Each game gets more and more difficult so multiple cards may be used to defeat the villains. If your teen grew up loving Phineas and Ferb, they’ll undoubtedly know all about Perry’s alter ego: Agent P. In this interactive game around World Showcase in Epcot, you get to help Agent P defeat Doofenshmirtz’s evil plans. The game uses cell phone-style devices, and easy clues, and the pace can be as leisurely or as fast as you’d like. What we love about the game is the special effects that occur when you’ve made it to the correct spots during our adventures. You’ll never think of the decorations in World Showcase the same again! Update: Agent P’s World Showcase Adventure now allows players to use their own smartphones. Sign-up is still the same. Our eldest daughter is now 22, but I specifically remember making a bee line for character autographs when she was a teen. 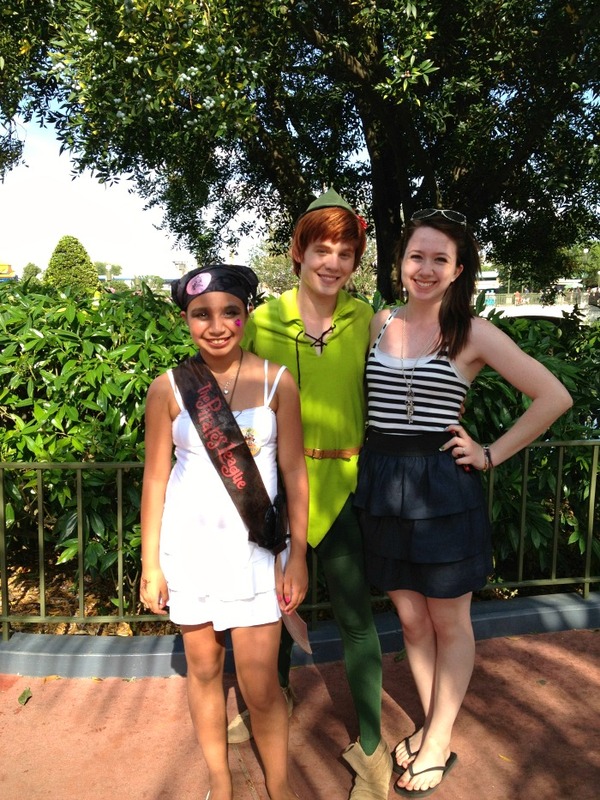 The Kid, even at 14, still loves queuing up to get a photo and autograph from her favorite characters. Have your teen check the Times Guide at each park’s entrance for times and locations that its Disney characters will be meeting and greeting guests. Then they can hover around the area and get in line quickly, especially if the character is super popular. 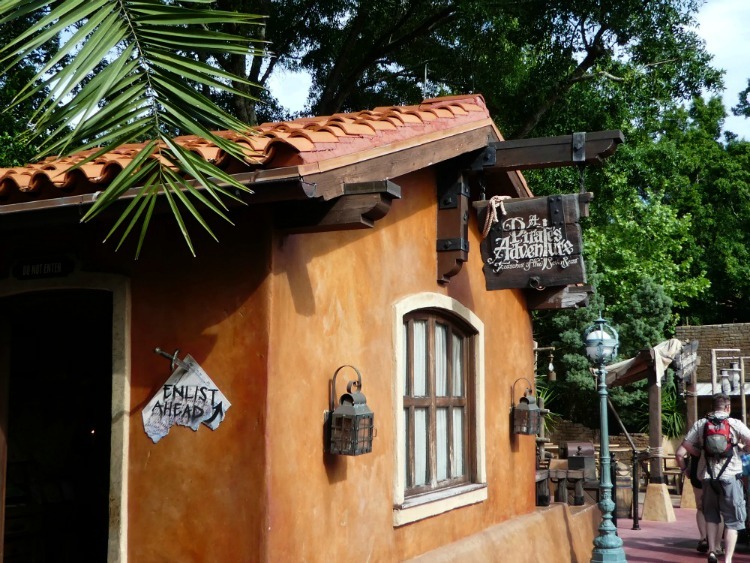 If you’ve taken the walkway between Frontierland and Adventureland in Magic Kingdom, you’ve undoubtedly seen the Crow’s Nest sign-up building for A Pirate’s Adventure. Here’s the challenge: Captain Jack Sparrow requires help to raid five treasures that can be found throughout Adventureland and beat Barbossa to the loot. There are five different maps and five separate adventures. This game is one of my teen daughter’s favorites and it truly does let you check out spots of Adventureland that you may have missed. I know, we try to keep the kids away from soda. But small samples of Coca Cola products from around the world are okay once in a while, in my opinion. There’s sweet to bitter (if you’re not a fan of bitter stay away from the Beverly) and you can sample as many as you like for as long as you’d like. It’s also a great spot for cooling off on hot, humid Orlando days. My daughter well knows what a few of these samples taste like, but getting her to try the Beverly is not only fun for us, it always puts a smile on her face – and it’s free! 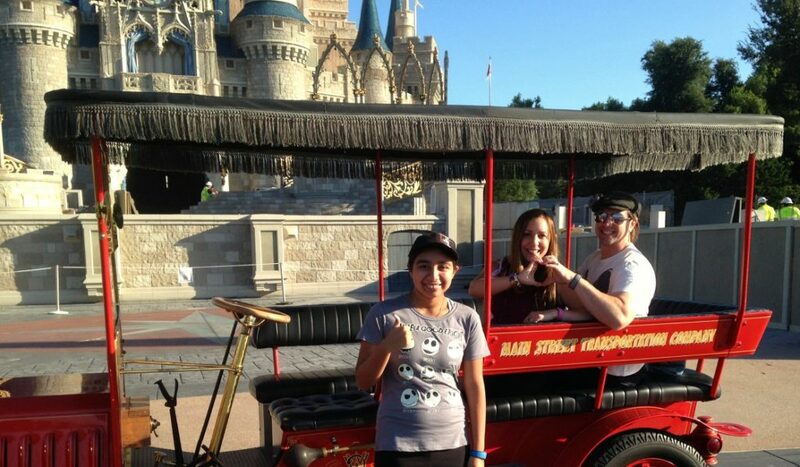 What’s your best tip for keeping teens entertained at Walt Disney World? Please share with us in the comment section below!